This teen-flick-meets-action-movie marks a bright and breezy return for the teenage superhero. "Couldn’t you just be a friendly, neighborhood Spider-Man?" 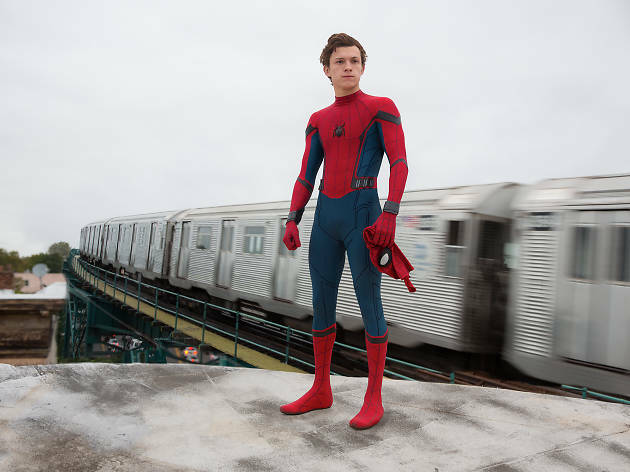 asks Tony Stark (Robert Downey Jr.) of his 15-year-old webslinging protegé, Peter Parker (Tom Holland), fearing that the highschooler is going to tangle with the wrong bad guy and end up in more trouble than he can handle. And indeed, Spider-Man: Homecoming offers a welcome narrowing of the Marvel mega-verse, away from alien invasions and globe-smashing supervillains and back toward something more local and intimate. The film’s villain, flight-suited arms manufacturer the Vulture (Michael Keaton), doesn’t even want to rule the world: He’s just chasing a fast buck to feed his family. The problem is that he’s willing to sacrifice innocent lives to achieve that goal—starting with Peter’s. 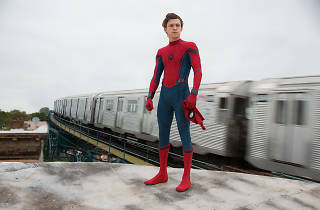 Homecoming isn’t strictly an origin story: There’s no radioactive spider bite, no wow-I-can-lift-a-car-now moment. This is about a young man figuring out what to do with the power he’s already acquired, while also navigating the pitfalls of everyday teenagerhood. It’s light and breezy and perhaps a little throwaway at times. It’s also dizzingly entertaining. Holland brings just the right blend of goofy and gallant—we genuinely like this kid, even when his cockiness threatens to get out of hand. He’s handed a perfect foil in the form of Ned (Jacob Batalon), the traditional chubby sidekick with a touch more depth. And despite what the trailers might suggest, Tony Stark’s regular cameos don’t unbalance the film: He’s more guardian angel than full-blown Mr. Miyagi-style mentor. Homecoming isn’t perfect. Indie director Jon Watts (Cop Car) doesn’t have a lot of experience with large-scale action, and it shows: The climactic dust-up gets a little blurry. Some of the supporting characters—particularly Laura Harrier’s sprightly love interest, Liz—can get a little lost. But the blend of humor, pathos and wall-crawling antics is perfectly judged. After a handful of overblown misfires, Marvel appears to have rediscovered its heart.